Imagine taking a paperclip and bending it open. If you bend it open far enough it probably won’t snap back to its original shape. 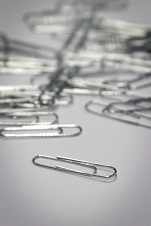 Due to the material it’s made from, the paperclip retains its new shape; the shape of the paperclip is dependent on its history. 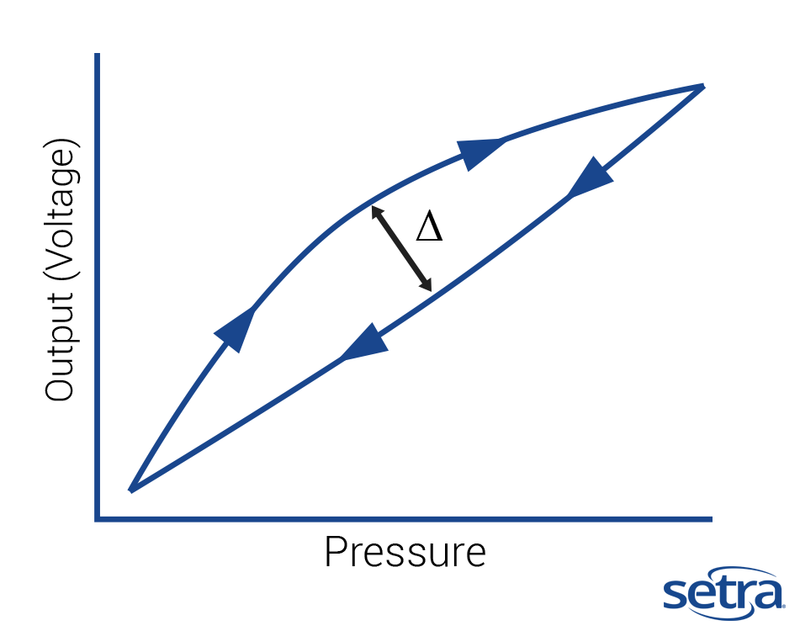 Many pressure sensors have a diaphragm that deflects when pressure is applied to it. Diaphragms inside variable capacitance transducers flex towards or away from a fixed electrode. Changes to the distance between the diaphragm and the electrode also changes the transducer’s capacitance, converting that value into an electrical signal. The figure to the right represents a hysteresis loop. When pressure is applied to the sensor it outputs an electrical signal. When pressure is no longer applied, the diaphragm does not immediately return to its rest position and lags before returning to its original position. The integrity of that diaphragm is critical to the accuracy of the sensor. Hysteresis is a function of an object’s material; If the diaphragm is made from substandard materials, its accuracy can dramatically change over time. Most test & measurement applications demand high accuracy pressure transducers in order to operate correctly and safely. 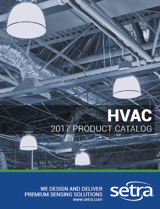 Diaphragms in sensors for these applications are made from stainless steel and are often heat-treated to preserve its strength and structural integrity. CLICK HERE to learn why the kind of stainless steel your sensors are made of matters.